PHYNO AND OLAMIDE TO RELEASE COLLABO ALBUM "2 KINGS"
Great news for rap fans in the east and the west! 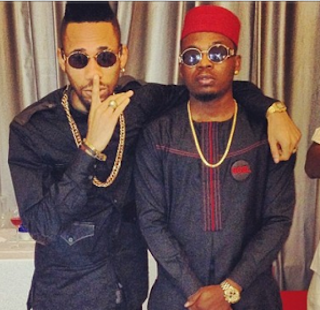 Indigenous rappers Olamide and Phyno are reportedly working on a joint album to be titled ’2 Kings’. Olamide made the information known to the public via his twitter account. Unarguably the hottest rappers presently, the Igbo and Yoruba rappers first collaborated on the massive record ‘Ghostmode’ in 2012 which also featured a stellar video shot by Clarence Peters. Since then fans have been clamouring for collaboration between the two and they both dropped bars on ‘Dope Money’; a track off Olamide’s BGEL album. A release date hasn’t been set yet but this has to be one of the most anticipated album of 2014.